Implementing a centralized image archive for a large hospital system can be a challenge. Doing it for an entire country increases the degree of difficulty. The need for more efficient image access was enough to get Scotland to give it a try, however. With roughly 5.2 million people, slightly less than the population of Colorado, Scotland accounts for approximately 8% of the population of the United Kingdom (UK). Alan Fleming, program manager for National Health Services (NHS) Scotland, says the process of setting up Scotland's archive required extensive input from both clinical and business stakeholders. One of the most important tasks was selecting a supplier for PACS, data center storage, and hosting. Carestream was selected to provide the PACS and a national image archive that serves all hospitals and imaging facilities in the country. NHS Scotland also had to specify the services that would be provided by the archive, and the final implementation plan required approval from senior government officials. The archive includes radiology and ultrasound exams, cardiology angiograms, and symptomatic mammography exams. A separate national archive is provided for breast screening images. Once the plan was in place, the archive had to be integrated with Scotland's existing IT infrastructure. "We had to develop and build upon existing patient identification processes that link and share data safely, as well as design a system that could store and access a large data set," Fleming says. "In Scotland, a unique patient ID number is generated for citizens just a few days after birth. People who move here or visit from abroad are issued a patient ID number, as well. Currently, we store 23 million studies and provide access to 22,000 clinical users. We store 1.4 petabytes of data at our primary storage and backup storage centers." Two of the key requirements for this project were accurate data collection at inpatient and outpatient facilities and correctly linking imaging studies to patient IDs, Fleming says. Rapid responses to physician queries were also essential. In addition, an infrastructure that could provide secure data centers, as well as backup centers in different locations that could provide data access during a local outage or disaster, was needed. Scotland's archive is comanaged by Carestream and NHS Scotland. Cristine Kao, the global marketing director of healthcare information solutions for Carestream, says economic factors and public funding for health care in the UK made a countrywide archive an attractive option because the archive helps streamline patient care and saves money on storage costs. Another potential benefit is improved population health. Kao says Scotland's use of universal patient IDs makes it easier to integrate data systems. Could the United States benefit from universal patient IDs? Kao says they're not essential, but they would help. "When you look at, not just health care, but any database or data analytics model, the more integrated the systems are, the better the analytics are and the better the quality of the data, as well," Kao says. "So how do I know that the Cristine Kao who resides in Chicago, Illinois, is the same one who was just in Rochester, New York? That kind of federation of databases relies on a lot of IT intelligence. We don't have a national- or state-level patient ID system in the US, and while I don't think that will stop us from developing algorithms for population health or preventive health or even prescriptive health, it is more difficult because all of the necessary systems are in silos. 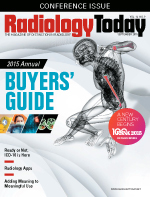 Interoperability amongst systems and standards-based workflow do help, but it's challenging." Fleming says Scotland isn't yet using its archive for national health analysis or research, but there are plans in the works for projects that would use archive data to evaluate the success of treatments and medications for a variety of diseases and conditions. For Scotland's citizens, however, the archive is already paying dividends. Diagnosis and treatment times have improved, and the inconveniences of film-based archives, such as lost films resulting in repeat exams and unnecessary radiation exposure, have been eliminated. "With our current system, a patient's imaging history is readily available and contains radiology reports and imaging studies. As an example, if a patient presents at any [emergency department] in the country with chest pain, clinicians can view prior angiograms or chest X-rays, as well as radiology reports that would indicate if this patient had an existing cardiac condition," Fleming says. "The PACS and archiving system achieves a more productive process for viewing patient information, which yields faster reporting with our existing staff. And we have eliminated the costs and limitations of our prior film-based system."